A spectacular one­-of-­a-­kind estate on nearly an acre with refined architectural detailing and grandeur, the modern open floor plan with soaring ceilings and expansive rooms offers lots of light and breathtaking sunset views through skylights and walls of windows. 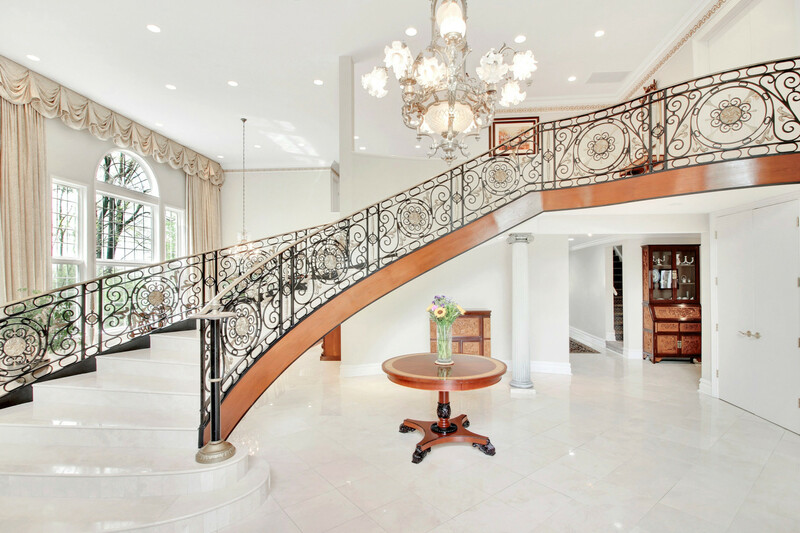 The dramatic floating staircase sets the tone for perfection throughout, where lavish events as well as small gatherings offer guests and residents a very unique and noteworthy experience. 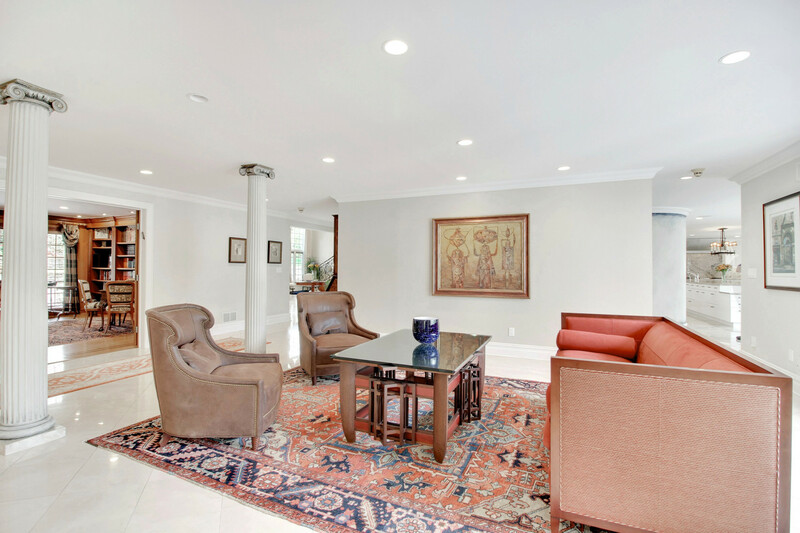 Effortless entertaining is afforded by multiple sitting areas, media room, library, commercial-grade gourmet kitchen, flexible bedroom arrangement, paver parking court and expansive deck overlooking lush park-­like grounds. 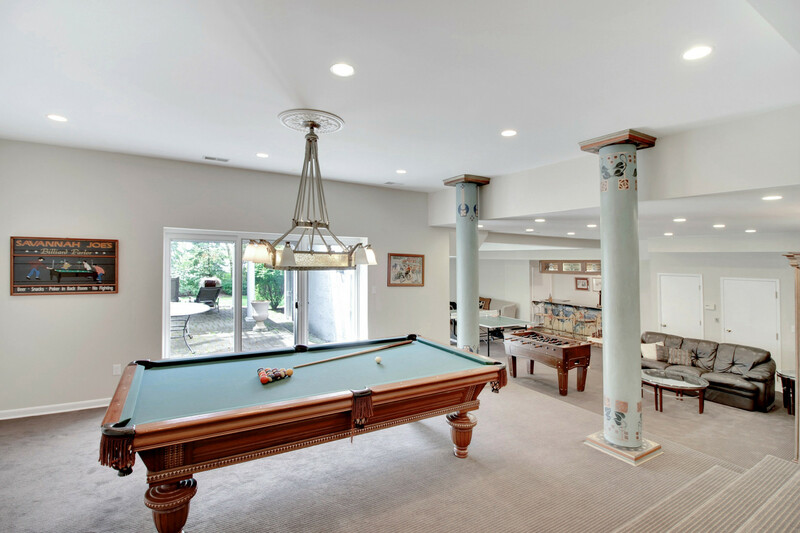 The lower level features a large entertainment area, game room, built-­in custom bar and full­-size exercise room. Cancel your gym membership. You won't need it. 17 rooms, 6 bedrooms, 5 full & 2 half baths, 3 car garage, 3 fireplaces, elevator, grand open spaces, soaring ceilings, custom sweeping grand marble staircase, custom moldings and hardwood flooring throughout, state-of-the-art theater, and so much more. Banquet halls will be a distant memory. Entry to this magnificent home is accessed from a private drive and paver courtyard creating a commanding presence and promising no less. Peace and privacy abound in this idyllic setting, feeling far from the world yet only a few minutes from all of the amenities that Livingston has to offer. Situated only a short distance from major highways, commuting to New York City is nearly effortless. 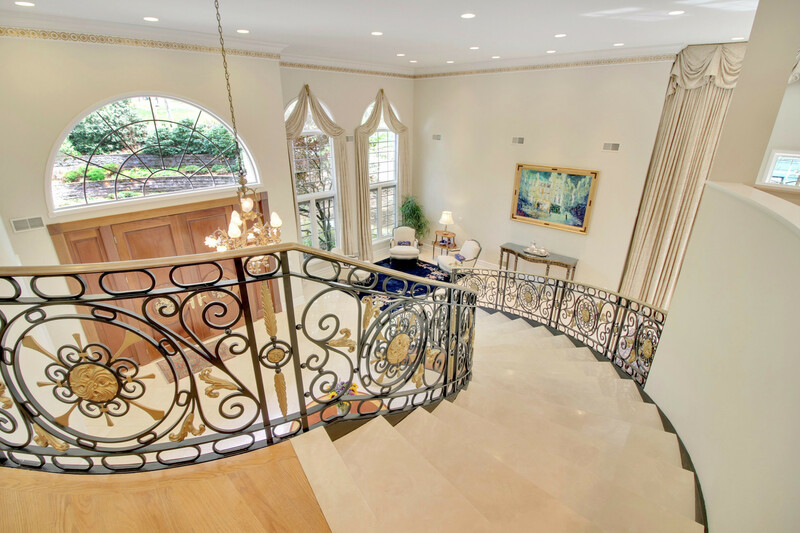 The impressive Entry Hall, with winding staircase, custom doorways, soaring ceilings and two coat closets offers guests a glimpse of the grandeur that awaits every turn. 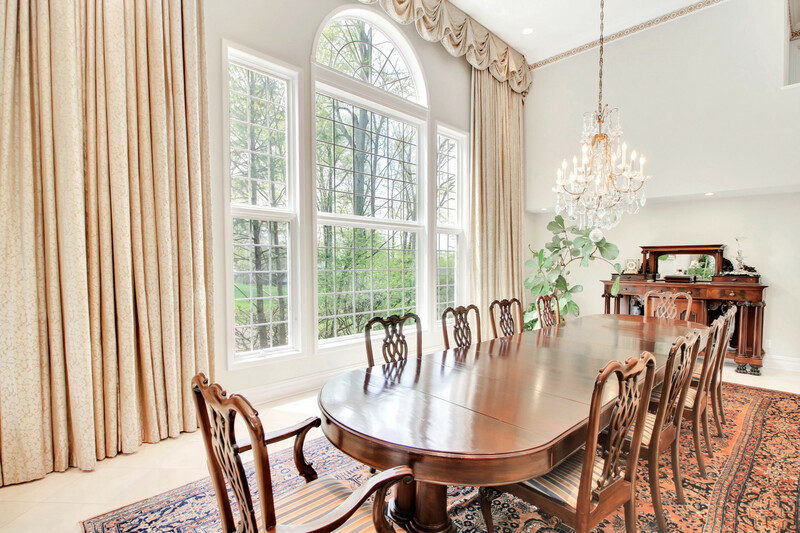 Flanking the Entry Hall are an elegant petit salon and banquet-sized formal Dining Room, both boasting walls of windows and offering spaces that are perfect for both intimate gatherings and large events. 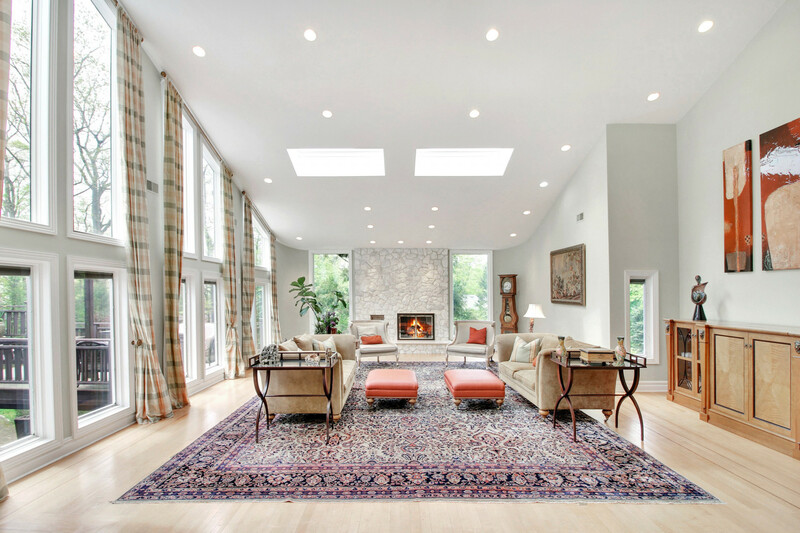 Anchored on beautiful hardwood flooring and set beneath a high ceiling with beautiful moldings, walls of windows and architectural interest at every turn, the Great Room is elegant, welcoming guests with both warmth and grandeur. The epitome of effortless gathering: the focal floor-to-ceiling stone wood burning fireplace with gas starter encourages fireside gatherings. The room features a two-story ceiling with multiple skylights and doors that open to the oversized deck. Directly off the Great Room, a wood-paneled Library with a wall of windows and custom built-ins is tucked away in a secluded section of the home for privacy. A two-sided gas fireplace adjoining the Media Room affords warm fireside reading. Bright, cheerful and inviting, it is the perfect space in which to work, relax or entertain. 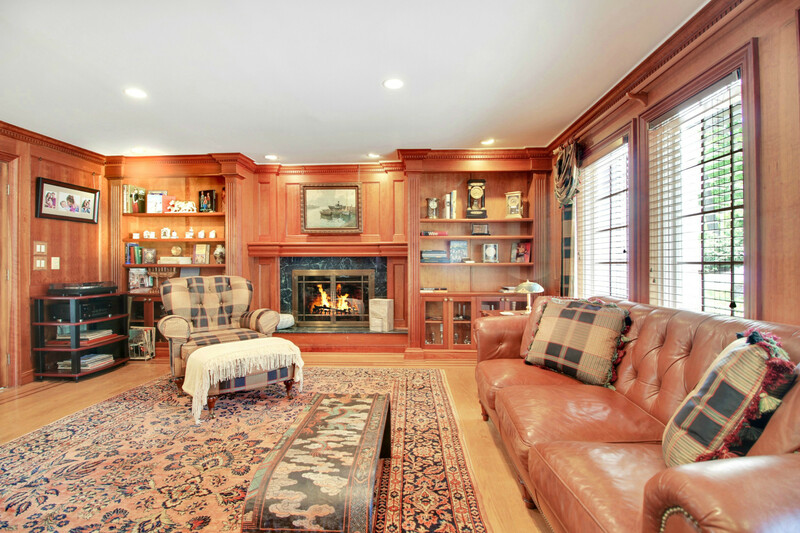 A rare find in Livingston and a very special feature in this impressive home. 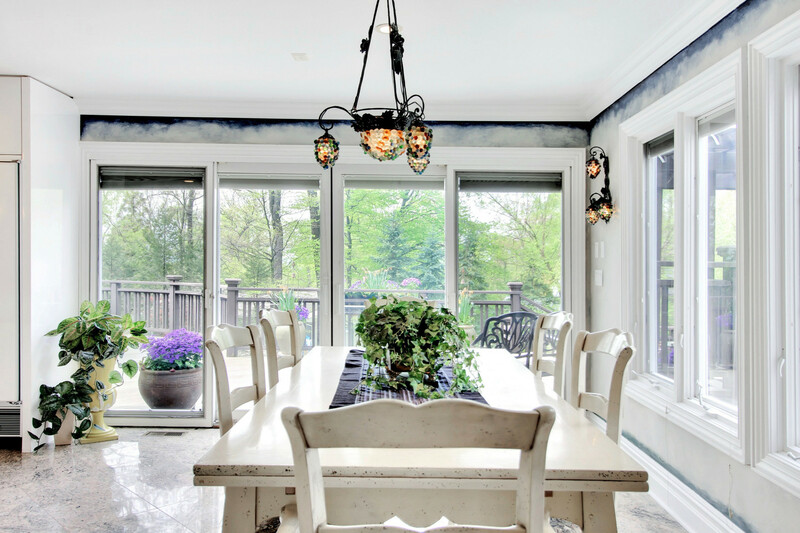 A banquet-scale formal Dining Room with large windows offers lavish entertaining under a two-story ceiling, offering the perfect space for both small and large dinner gatherings. Holidays and every day will offer a very special experience. Nearby, a large Butler's Pantry with an additional refrigerator guarantees that entertaining will be both effortless and convenient. 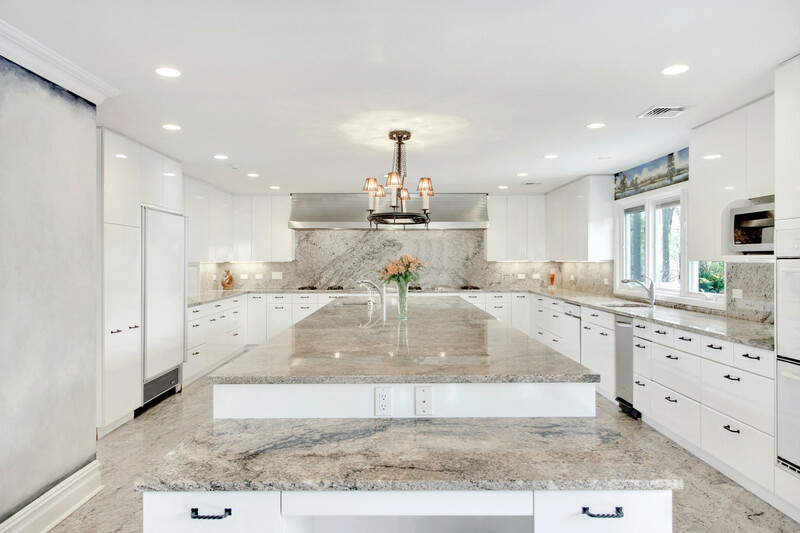 At the very heart of the home is the spacious Kitchen with walls of windows offering complete visibility to the resort-like rear property. The gourmet Kitchen is high-end, embellished with custom cabinetry, granite countertops, 7 Gagganeu burners, Gagganeu deep fryer, Gagganeu grill, Thernador double electric convection ovens, 2 dishwashers (Miele and Bosch), Subzero refrigerator, Subzero freezer, Thermador warming drawer and expansive center island with built-in desk and additional sink. The convenient Butler's Pantry features yet another refrigerator and additional cabinetry. Connected to the Kitchen is a separate Breakfast Room, flanked by yet another wall of windows and sliding doors leading to the rear deck. The deck offers a unique al-fresco dining experience and will make entertaining both special and convenient, especially at night under the stars. The Breakfast Room opens into a bright Atrium that features continuous marble tile flooring and windows overlooking the manicured and mature grounds. The Atrium leads down the main hall of the home into the oversized 3-car garage, Media Room and wood-paneled Library. The flexible floor plan allows this Atrium space to transform to meet the needs of its occupants. 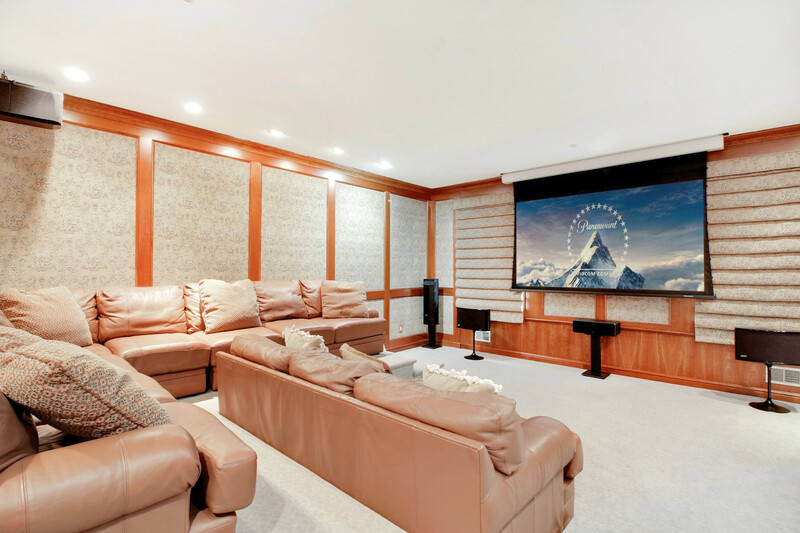 The Media Room / Home Theater is impressive and exceptionally comfortable, featuring Bose surround-sound speakers, leather seating on two levels, handcrafted wood paneling, sound deadening wall panels and luxurious carpeting. Conveniently located on the first floor off the Great Room and sharing a two-sided gas fireplace with the Library next door. The impressive and luxurious Master Bedroom Suite encompases an entire wing of the home, featuring large French doors leading to a romantic balcony, two oversized walk-in closets and two connected full baths with built-ins, large walk-in shower, spa tub and make-up vanity. The suite also offers both a sitting room and office. An elevator from the first floor leads to the Master Bedroom Suite and a balcony overlooks the Great Room below. 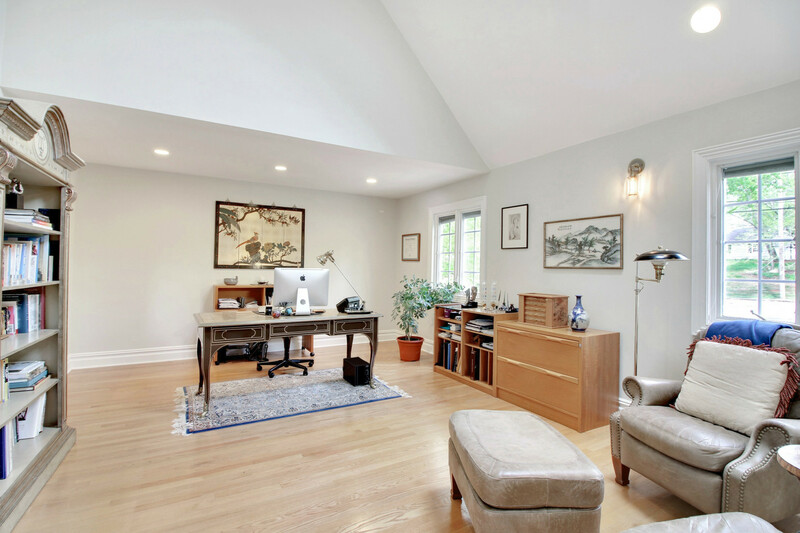 The second floor is home to four additional bedrooms offering plenty of closet storage, newer carpeting with hardwood flooring underneath and views of the expansive and manicured grounds. A rear staircase, from the lower level to the second floor, offers convenient access from the heart of the home to the bedroom quarters. The walk-out Lower Level is expansive, with an assortment of rooms created for the individual tastes of its occupants including a Recreation Room, Game Room, Exercise Room, Den, Bedroom Suite, full-service wet-bar, laundry center, two utility rooms and several storage rooms with custom built-in shelving. An elevator also leads to this level for convenience. The carpeted recreation area offers plenty of room for even the largest of gatherings. Featuring both a wet bar and sliding doors to the rear property. 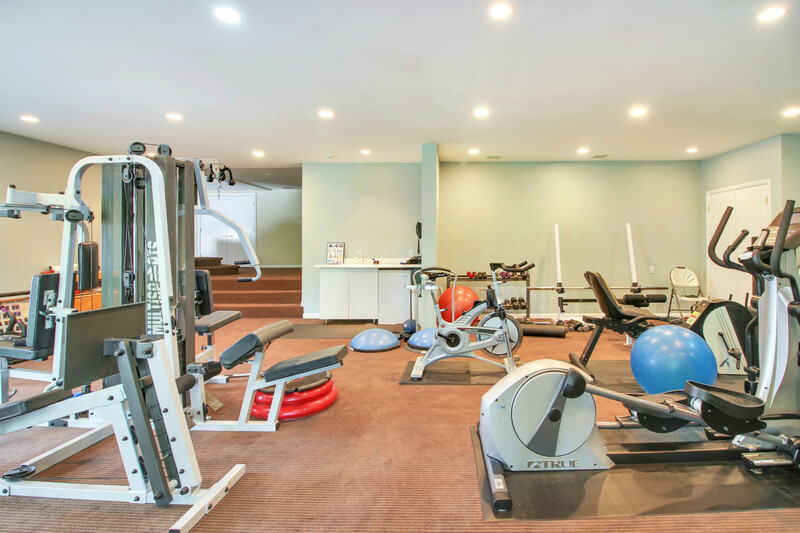 Nearby, a large exercise room will be the envy of even the highest-rated fitness facility. An additional sink and refrigerator add to the functionality and convenience of the gym. Here you will find an additional sliding door access onto the oversized paver patio in the rear. The exterior is as grand as the interior. 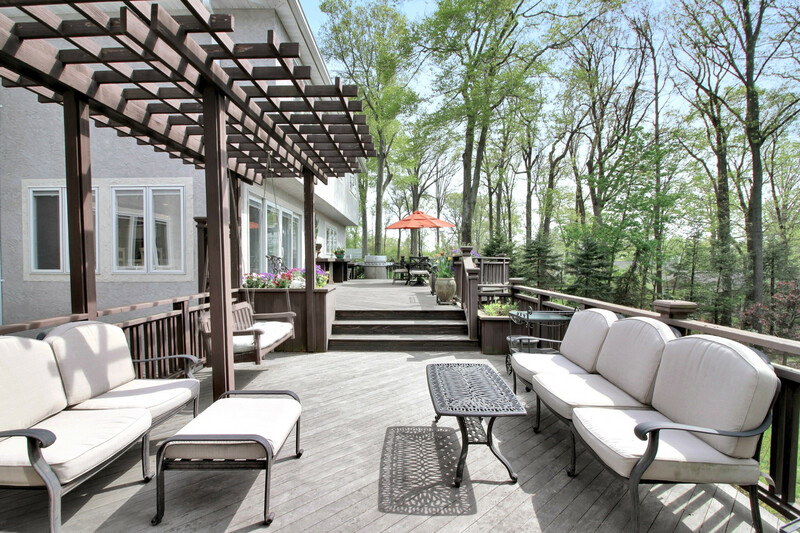 An expansive deck is conveniently accessed from several areas of the home and offers many amenities such as a built-in swing, separate seating areas and a separate dining area. The exterior will not disappoint even the most discerning of buyers. Lush and mature landscaping surrounds the entire property. The technical systems are exactly what one would expect in a home of this caliber, with sophisticated state-of-the-art heating and cooling systems, security systems, telephone system and an elevator to all three levels. This estate awaits that extraordinary buyer who appreciates fine craftsmanship, modern conveniences and all that Livingston has to offer. Only a few minutes from all of the shopping, dining and camaraderie of Livingston and a short distance from major highways, NYC transportation and Newark Liberty International Airport.